Titan Trade’s binary options trading platform houses a range of powerful features that can be used to diversify your trades and further increase your chances at success. The simplicity and speed of our platform along with our low investment requirement enables us to reach traders with different investment profiles from across the globe. We give our traders the opportunity to trade Titan Trade stocks, indices, commodities and currency pairs in a simple, fast and efficient trading environment. Once you’ve opened an account and logged in, the trading easily starts on the main platform page. Here you can choose between four different types of trading instruments to trade: High/Low, One Touch, Short-term and Range. Choosing an option will open a new trading window, where you can view your chosen option in the most convenient way. All the necessary details, potential payouts, risks, expiry time and traders’ choice, are infused in one page to help you construct an accurate trading decision in no time. We deploy the highest level of security to ensure that your sensitive details are protected against threats. The Titan Trade binary options trading platform is highly secure and all of your financial transactions are protected with the most developed methods in the market. 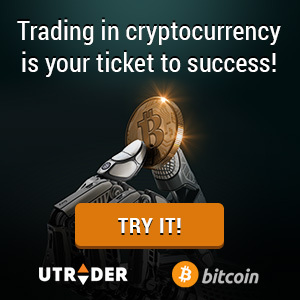 In order to make your trading experience as easy and smooth as possible, we provide you with access to our customer support and education center to keep you informed at all times. Should you need professional assistance, our friendly and highly-trained customer support team is available to assist with all your queries, provide you with assistance in your strategies and resolve any issues you may have. Our customer support is working round the clock, 24 hours a day, 7 days a week, to assist you with your Titan Trade trading needs. Get your free trading account today and begin trading with the most developed binary options platform on the web!